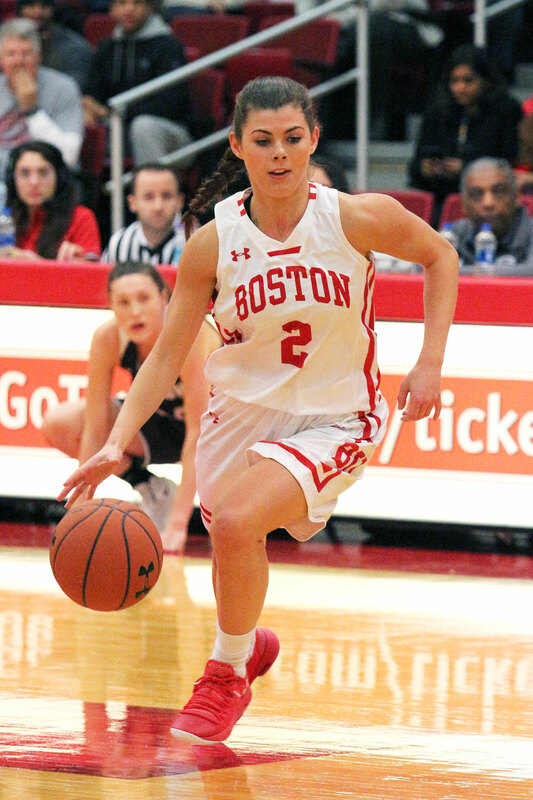 The Boston University women’s basketball team earned its first win under head coach Marisa Moseley with a 72-51 win over Brown University in the team’s home opener at Case Gym. Friday, the Terriers (1-1) dropped their season opener in an afternoon matchup against Northeastern University where a 24-4 Husky (2-0) run through the third quarter added to an end score of 81-51. Moseley, who was appointed to the head coach position in April, said the first win reflected the team’s hard work. Brown (1-2) opened scoring a little over a minute into play with a three pointer from Brown Bear forward Erika Steeves following a rebound from senior guard Shayna Mehta. Junior forward Nia Irving responded with two layups for a score of 4-3, giving the team a lead that it would hold onto for the rest of the game. The Terriers claimed a multi-point lead after sophomore guard Katie Nelson intercepted a cross-court pass from a Brown player and made a fast break play for the layup. The second quarter started with a five-point streak off of a series of free throws from senior guard Payton Hauck. By halftime, while Hauck and Mehta were tied for top-scorer with 10 points apiece, BU held a 33-21 lead and a triples shot accuracy of 30 percent compared to Brown’s 7.7 percent. The Terriers returned to the court to end the game with a 14-3 run. Mehta ended the game with nearly half of Brown’s points with 23, while Hauck and Irving both earned 16 points, with Irving earning her ninth career double-double with her 12 rebounds. Moseley said the win came from the team holding onto its identity during the game. Against Northeastern, Moseley said the game fell away from the team after halftime. While senior guard Lauren Spearman earned a career-high 14 points, the match went from a nine-point game at halftime to a final score of 81-51. 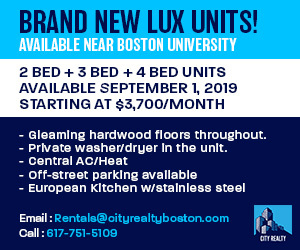 The Huskies collected seven unanswered points within the first three minutes, with Northeastern forward Gabby Giacone putting up the first five. Spearman and Giacone both went into halftime with 11 points. Sophomore guard Stella Clark took the offensive lead through the second half, ending the match with 19 points and assisting in the program’s second greatest winning margin. Moseley said the win against Brown was important in recovering from the loss and establishing the team culture. Congratulations to Head Coach Moseley, her staff and team on notching her first win as a Head Coach. I watched part of the game on my phone at Hertz Arena in Estero, FL near my Fort Myers winter home waiting for one of my idols, Willie Nelson. to come on stage. By the way, he put on a very winning performance too at age 85 no less.